It was a month ago when I am thinking on what lens to buy . And so I have decide yesterday. I have bought the nifty fifty ( Canon EF 50mm f/1.8 II ). An additional lens for my Canon EOS 400d . So now I have 2 sets of EF lens. One is the standard EF 50-18 mm which goes as a standard inclusion when I bought the camera. Initial testing of my new Canon EF 50mm f/1.8 II lens reveals that it is good for portrait use. It is also good for night shots. If you will try to shoot any materials with 1 ft away it will not work. Since the minimum distance it can take is about 1.5 ft.
My initial review for this new lens is great. I like it when I can capture the face of my children and could make a blurry background. The lens could give a good focus on your subject. I would suggest to all owners of Canon SLR Camera to buy this lens. The lens is cheap compare to other I bought it for SR 370 [ PHP 3950 ] , I believe the amount is great compared to the feature this lens could give you. 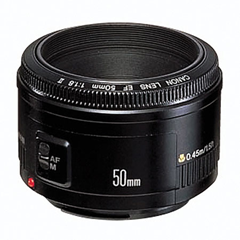 Below is the Canon EF 50mm f/1.8 II specification that i get from the web. Well my next wish is to buy a Zoom Lens ( 70-300 Tamron mm ). Maybe if my Paypal transaction will be great i could buy this one before I go vacation . By the way I purchased this lens from some direct advertising at my blogs that has been paid thru paypal.